That was freelance journalist and photographer Will Robson in My Arctic Watch Photo Journal: The People, Wildlife & Landscapes of the Far North, a photojournal story he shared about his experience at Arctic Watch Wilderness Lodge. Over the course of his stay, Will and a small group of fellow guests discovered what it means to make the most of the all-too-brief Arctic summer in the Canadian High Arctic. They never knew what to expect one day to the next, as they were off rafting and kayaking the mighty Cunningham River, biking a frozen section of the Arctic Ocean, trail running, observing rare Arctic wildlife, and ATVing a vibrant tundra teeming with green moss, yellow Arctic poppies, purple saxifrage, flaming orange lichens. It’s a once in a lifetime polar experience created by the Weber family, renowned explorers and adventurers who set out to showcase the most fascinating natural and historical elements this region of the vast Arctic has to offer. And each year, just a handful of travelers gather at this world-class beluga whale watching site and wilderness lodge 500 miles (805 km) north of the Arctic Circle for fully guided 8 to 10-day adventures under the midnight sun. Why visit Arctic Watch Wilderness Lodge? How is the Arctic Watch experience different from other Quark expeditions? What can I see at Arctic Watch? What can I do at Arctic Watch? When should I go to Arctic Watch? How can I get to Arctic Watch? Canada’s most northerly wilderness lodge, Arctic Watch is a permanent wilderness resort offering all the comforts of home in a spectacularly wild and remote Arctic setting. You’re likely to see hundreds of beluga whales and other iconic Arctic animals, like muskoxen, arctic fox, snowy owls and even polar bear. 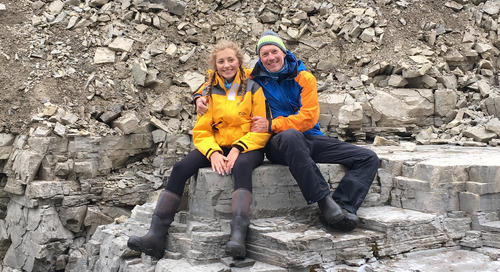 Your hosts, Richard Weber and Josée Auclair, along with their sons Tessum and Nansen Weber and Quark Expeditions team members Niki Trudeau and Dave Allcorn, welcome you to explore this incredibly diverse area of Somerset Island and the Cunningham Inlet on daily guided activities. 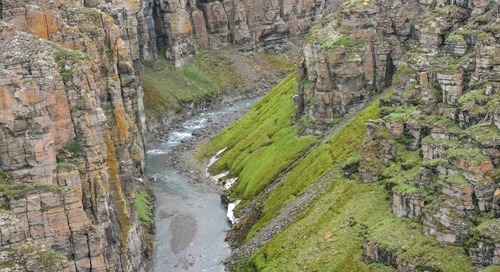 It’s a completely immersive adventure, where you might be hiking or river rafting a massive canyon one day, and visiting a 1,000-year old Thule campsite the next. You might find yourself fat biking over a frozen expanse of Arctic Ocean today, and casting a lure into a pristine river for Arctic char tomorrow. The only thing you’ll come to expect is the unexpected. The Weber family tradition of Arctic exploration runs deep. Richard, a recipient of the Order of Canada himself, is the son of Hans Weber, who journeyed north on some of the earliest modern scientific expeditions to the Arctic. Richard inherited his father’s love of the Arctic. He’s visited the North Pole numerous times, and achieved the first two-man unsupported expedition to the North Pole in 1995. He met his polar-passionate match in Josée, whose trailblazing treks to the North and South Poles earned her awards and accolades of her own. His younger brother, Nansen, is an award-winning wildlife photographer who looks forward to helping you capture your best scenic and wildlife photos yet at Arctic Watch. The Webers have created a surprisingly comfortable home base from which to experience the best the Canadian High Arctic has to offer. Comfortable hotel-like accommodations, locally sourced gourmet dining and top quality, expert guiding and educational programming allow you to simply relax and take it all in. Dining at Arctic Watch Wilderness Lodge promises to challenge your preconceptions of Arctic fare and offers the opportunity to sample the finest foods Canada has to offer, like rich Quebec cheeses , local Arctic char, Western Canadian beef and an extensive wine list. You can learn more about the fascinating family behind the Arctic Watch Wilderness Lodge experience here. So why visit Arctic Watch? Because you’re an adventure-seeker; an active traveler who loves the outdoors and interacting with nature and wildlife. You thrive on totally unique, unexpected travel experiences. You crave a different type of holiday--one that leaves you better than it found you; enriched and fulfilled, with incredible photos and exciting stories to share for years to come. How does the Arctic Watch experience differ from other Quark expeditions? Arctic Watch Wilderness Lodge is Quark Expeditions’ first land-based adventure. Located 500 miles north of the Arctic Circle and 50 miles from the nearest town, it’s a truly remote High Arctic adventure with an intimate and exclusive feel, accommodating just 26 guests at a time. The permanent nature of the resort means you’re able to experience a wider range of adventure activities like sea kayaking, river rafting, fat biking, ATVing, stand-up paddleboarding, trail running, fly fishing and more.  All of the equipment you need is provided, along with introductory lessons and expert guidance. Nature enthusiasts revel in the opportunity to experience this completely raw, untouched arctic environment. As with all Quark expeditions, your accommodations are comfortable and provide a cozy, serene home base for your Arctic adventures. Your private cabin has a queen or double bed with a warm duvet, sink and marine toilet. Separate cabins house the kitchen and dining room, lounge, library, gear room and private shower house. Arctic Watch Wilderness Lodge resides on a bluff over the Cunningham River estuary, a world-renowned beluga whale observation site. At Arctic Watch, all of your adventure activities are included. 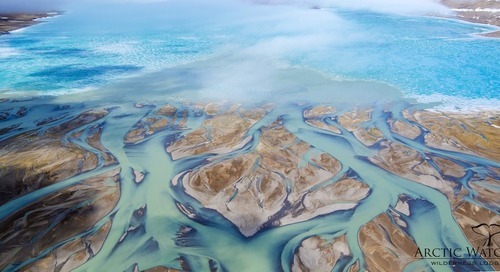 Photography opportunities abound as the tundra comes alive in the arctic summer. And where our Expedition Team are constantly seeking out wildlife viewing opportunities on our cruise-based expeditions, your team at Arctic Watch are attuned to the migratory patterns of local land and sea life. 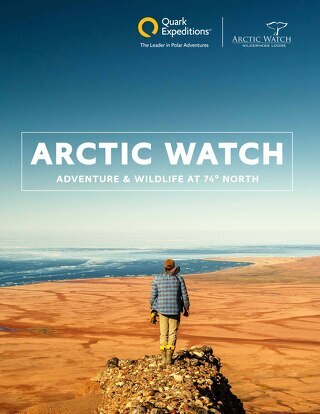 In short, at Arctic Watch, the adventure comes to you. 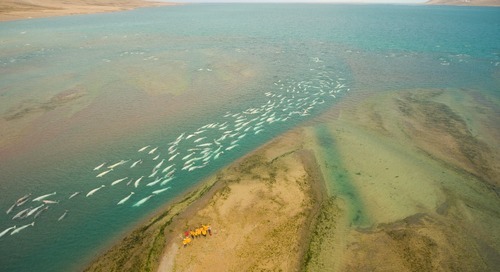 The area around Arctic Watch Wilderness Lodge is perhaps best known for the spectacle of thousands of beluga whales gathering each year in the Cunningham Inlet. 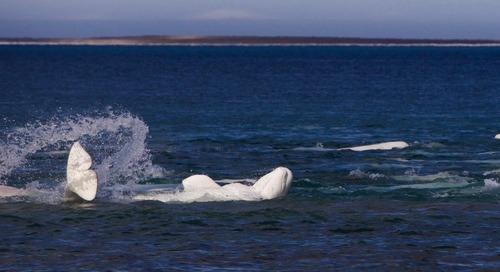 Belugas are distinct for their white color and absence of a dorsal fin, as well as the high-pitched whistling and clicks they use to communicate with one another. Those unique sounds earned them the nickname “sea canaries” from early Arctic Ocean whalers, who were fascinated by their vocalizations. Dr. Valeria Vergara, whose PhD dissertation at the University of British Columbia was on acoustic communication and vocal learning in beluga whales, has spent several summers studying the Arctic Watch beluga whale population. The Cunningham Inlet estuary, where 2,000 belugas return each summer to molt, nurse their young and socialize, is “a pristine nursery area like few in the world,” she says. You can learn more about Dr. Vergara’s research and the fascinating Arctic Watch beluga whale population here. Your Arctic Watch guides are always on the lookout for beautiful and exotic Arctic animals like Arctic fox or hare, ringed or bearded seals or even polar bears. Some species reside near the lodge, while others pass nearby on their migratory routes. You’re almost sure to see giant, furry muskoxen as they graze on delicate tundra grasses and flowers. Take advantage of a full 24 hours of sunlight in the height of the arctic summer. It’s fantastic for taking photos of your stunning surroundings. The vast emptiness and stark contrasts of the tundra at first seem other-worldly; you might feel as though you’ve stepped onto an entirely new planet, or perhaps taken a step back in time. Ancient Thule treasures, massive basalt bird cliffs, crystal clear waters and impossibly hardy plant species all beg to tell their stories. Your experienced Expedition Team are always on-hand to help you not only seek out and enjoy these experiences, but to understand their natural and historic significance, as well. Your Arctic Watch expedition is an action-packed, non-stop adventure. Each day, your Expedition Team and hosts at Arctic Watch offer you a choice of the best experiences available that day, based on the conditions and activities available. For each of your adventures, all necessary gear, instruction and safety equipment is provided. Sea kayaking, stand-up paddleboarding and river rafting give you a whole new perspective on the Arctic environment. From the surface of the water, you’re given a bird’s eye view into the depths of the region’s inlets, bays and even the massive ocean itself. At eye level with the shoreline, you have an incredible vantage point from which to seek out polar wildlife and snap photos. 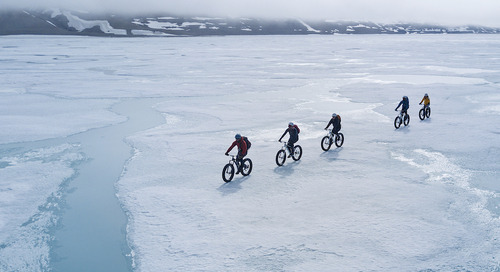 Early in the season, when the Northwest Passage is still frozen over near the lodge, you can go fat biking on the sea ice. Later in the season, as the sunny weather and drain of warmer waters from the Cunningham into the Arctic Ocean drives the sea ice away, you can fat bike over the vibrant tundra. ATVs (all-terrain vehicles) make it possible to cover large expanses of tundra relatively quickly, opening more of this pristine wilderness up to you and your fellow adventurers. Canyons and waterfalls, rare wildlife habitats, icy inlets, staggering cliffs and incredible vantage points--all of it becomes accessible from the lodge on an ATV adventure. At the end of the day, enjoy a decadent dinner alongside your new friends, with locally sourced, chef-prepared fare and wines sourced from the Okanagan Valley in British Columbia, Canada. Relax, perhaps with a borrowed book on polar exploration, in the library, or join fellow travelers and Expedition Team members in the lounge to toast the day’s adventurers. The window of opportunity for visiting Somerset Island is quite small. We take guests to Arctic Watch Wilderness Lodge from late June to mid-August, when the weather and conditions, wildlife activity and availability of adventure activities are ideal. Beluga whales arrive early in the summer to molt, shedding their thick winter skin on the Cunningham estuary rocks, and stay until August. “I’ve traveled extensively and this trip made me want more of the Arctic! The accommodations were amazing, the beds were so comfortable, and the staff was amazing. The food was absolutely five-star.” - Arctic Watch Wilderness Lodge visitor Sophie L.
This far north, the sun shines 24 hours a day. You might experience a hint of twilight early in the season, but the sun rolls around on the horizon and comes right back up again. The midnight sun is a surreal phenomenon that supports what life you’ll see in the Canadian High Arctic and provides for fantastic photography. 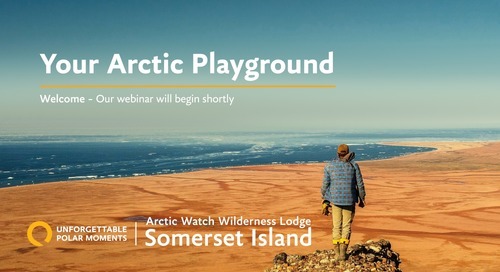 When we visit Arctic Watch, the ice has cleared out enough to allow for epic river rafting, stand-up paddleboarding and sea kayaking adventures. Polar bears lumber across the tundra, instinctively following ancient migratory routes north, in search of multi-year sea ice and the tasty seals that lie beneath. Muskoxen, those gentle and elusive giants of the far north, gather in herds to guard their calves and graze on ground foliage that must seem positively lush, compared to the food scarcity they’ve endured over the punishing winter. Arctic Watch Wilderness Lodge is a short flight north of Yellowknife, an iconic Arctic city in Canada’s Northwest Territories, which is where your expedition begins. Canadian cities like Edmonton and Calgary are home to international airports and offer direct flights to Yellowknife. Your travel agent or a Polar Travel Adviser on the Quark team can help you find the ideal flight for your expedition. You have 7 departures to choose from in each of the 2018 and 2019 Arctic summer seasons, although some weeks are already booking fast and have limited availability. Don’t delay--explore Arctic Watch Wilderness dates & rates today and inquire about the departure of your choice.